Pharmacotherapy includes a growing number of clinically effective medications for substance use disorder, yet there are significant barriers to its adoption and implementation in routine clinical practice. The Medication Research Partnership (MRP) was a successful effort to promote adoption of pharmacotherapy for opioid and alcohol use disorders in nine substance abuse treatment centers and a commercial health plan. 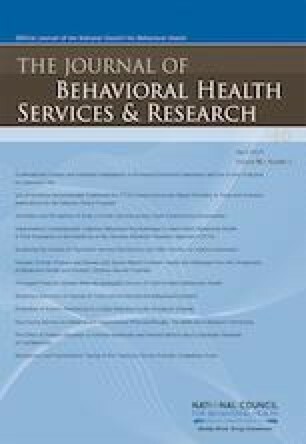 This qualitative analysis of interviews (n = 39) conducted with change leaders at baseline and at the end/beginning of 6-month change cycles explains how treatment centers overcame obstacles to the adoption, implementation, and sustainability of pharmacotherapy. Results show that barriers to adopting, implementing, and sustaining pharmacotherapy can be overcome through incremental testing of organizational change strategies, accompanied by expert coaching and a learning community of like-minded professionals. The greatest challenges lie in overcoming abstinence-only philosophies, establishing a business case for pharmacotherapy, and working with payers and pharmaceutical representatives. An award from the National Institute on Drug Abuse (R01-DA029716) supported the study design, implementation, and analysis of this manuscript. An award from the National Institute on Drug Abuse (R01-DA029716) supported the study design, implementation, and analysis. We would like to thank our participating providers: Bowling Green Brandywine (Lisa Olander), Eagleville Hospital (Charlie Folks), Horsham Clinic (Billie-Jo Sellman), Livengrin Foundation (Charlie Wolfe); Mirmont Treatment Centers (Pam Fries-Coffey); Maryland Treatment Centers (Meghan Westwood); Pace (Bruce Johnson); Penn Foundation (Christopher Squillaro, DO); and White Deer Run Allenwood (Amber Dissinger and Kieran Pelletier). In addition, we would like to thank Aetna (Dr. Hyong Un, Danielle Yemm, Bruce D Condit, and Dawn R Keiser) for their support in the development and implementation of the project. Finally, we would like to thank Dr. Kimberly A Johnson who was an active member of the research team. Dr. McCarty was the Principal Investigator on Research Service Agreements from Purdue Pharma and Alkermes, Inc. and he receives support on awards from the National Institutes of Health (UG1 DA015815, R33 DA035640, P50 DA018165, R01 MH1000001, and R01 DA036522). The other authors report no conflicts of interest. Network for the Improvement of Addiction Treatment website. http://www.niatx.net. Accessed May 19, 2017.